Adam Bray: It was scary! Before I got started, anyway. The amount of material that I had to cover was daunting at the outset, and for that I’m thankful Ryder had already written an outline for our book. 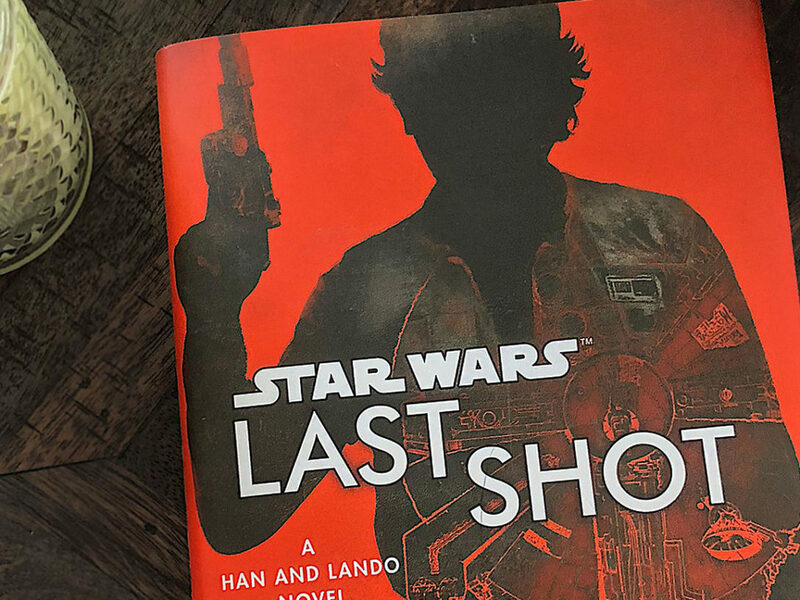 I’ve written lots of non-fiction and other reference books — especially real-world travel guides for exotic locations — but this was my first behind-the-scenes “documentary” book for Star Wars. All my other Star Wars projects have been written “in-universe.” This was a big milestone for me, and a very exciting one at that. 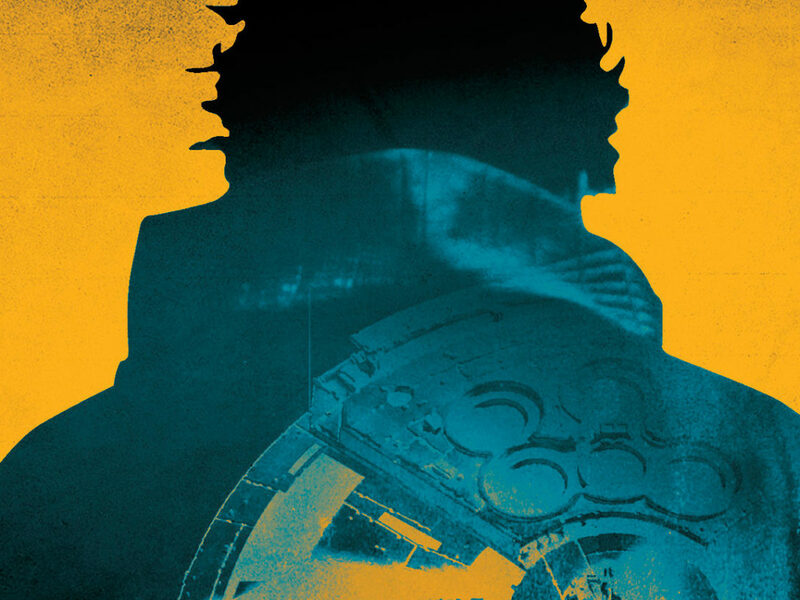 It’s also the first Star Wars book I’ve tackled that is aimed specifically at adult readers, so it was refreshing to use big words and long sentences again! I’ve always been fascinated by the filmmaking process so I particularly enjoyed researching those sections. I’d love nothing more than being posted on a film set documenting an entire Star Wars production. StarWars.com: The book covers the making of the different troopers for the films, from concept art to costume production to acting and voicing. What are some of the most interesting facts you came across when developing these sections? Adam Bray: Stormtrooper armor is made to look good on screen but it is actually rather difficult to move around in and do much physical activity. A person’s range of motion and field of vision is rather limited when wearing it. It’s always amusing to hear stories from the extras about how they clumsily stumbled around on set and bump into each other during filming. It’s also interesting to hear tales of celebrity and royal cameos hidden beneath the armor. I liked the Rogue One troopers the best out of the new movies. The designs are very much rooted in Ralph McQuarrie’s style from the original trilogy. The new costume designs and props incorporate real-world surplus military equipment, just like they did in the original films. Due to the secrecy surrounding The Last Jedi, I wasn’t able to interview anyone working on the film directly (though the book has a foreword by John Boyega) but I’m still holding out hope to meet John Boyega and Gwendolyn Christie some day! Ryder Windham: I knew that bas-relief pendants and earrings of stormtrooper helmets were released in 1977, but I didn’t know the jewelry was produced in Providence, Rhode Island, where I happen to reside. I couldn’t help but find that interesting. I tried to find out information about the sculptors for the jewelry, but none of my contacts and queries panned out. Still, I thought it was noteworthy that the jewelry was the first officially licensed sculpted Star Wars merchandise, released before the release of action figures, model kits, masks, and other sculpted collectibles. StarWars.com: Also covered is a huge history of stormtrooper-related merchandise, from the earliest licensed products (the stormtrooper helmet jewelry mentioned above) all the way through to Funko Pop! bobbleheads for The Last Jedi, and of course, action figures and LEGO minifigures. How did you determine what to catalog? Adam Bray: This was one of the hardest things to tackle for me. I wrote the second half of the book, from the 1990s Special Editions forward. So I had to cover all of the merchandise that wasn’t classic/vintage. I’m a Kenner/Hasbro action figure addict. In addition to the original 1970s and 80s Kenner action figures, I love the Vintage Collection, the Clone Wars lines on the rectangular blue cards, and the 6-inch Black Series. The folks at Hasbro graciously answered a lot of questions about their processes in creating the numerous stormtrooper and clone trooper figures. At first I started cataloging every relevant figure but this quickly became a mountain of information and it was obvious that I could only cover the highlights — the iconic and the most unique examples. I’m a big LEGO fan so it was also fun to pick out distinctive minifigures. Funko is fun too –they’ve put out so many characters in such a short period of time! 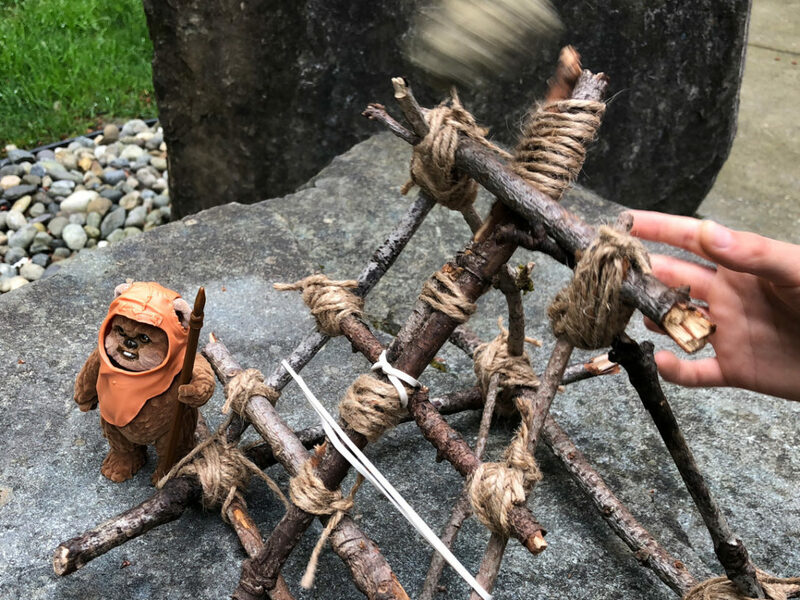 Though I admire the premium collectables — prop and costume reproductions, large-scale figures, statues, and maquettes — they’ve always been beyond my budget, so I relied on a lot of online reviews and guides to choose the best examples. Still, there’s so much merchandise out there that it all got to be too much and this is the largest section that I had to cut down for the final manuscript. Ryder Windham: I worked on the early chapters, covering 1970s through the early 1990s, so I focused on stormtrooper merchandise from that period. 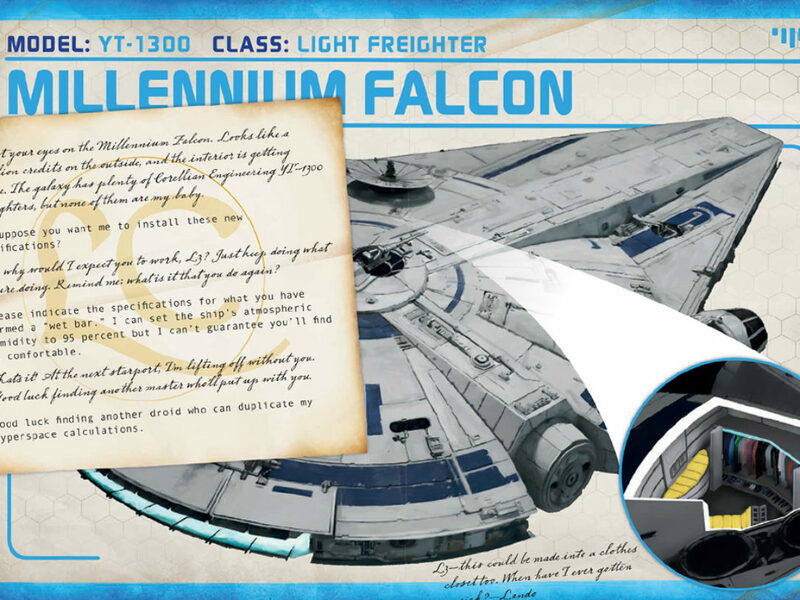 StarWars.com: So much amazing information was gathered from first-hand sources. Who are some of the key people interviewed for this book, and what knowledge did they help fill in? 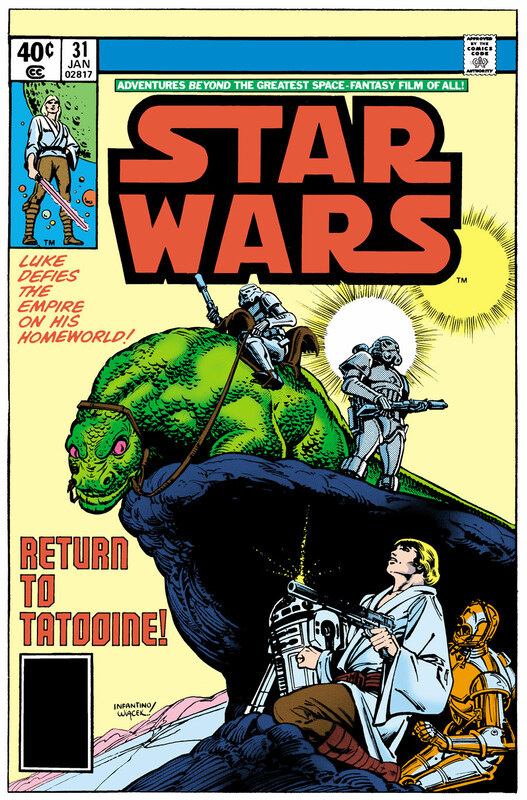 Ryder Windham: I interviewed Charles Lippincott, who was Lucasfilm’s publicist and the vice president of Licensing and Merchandising for Star Wars (1977). Charles still has most of the paperwork for all the early licensing deals, so his input was invaluable. I also interviewed sculptor Brian Muir, actor Anthony Forrest, writer Randy Stradley, and a few designers from Hasbro, who’d worked on stormtrooper toys for Kenner, way back when. 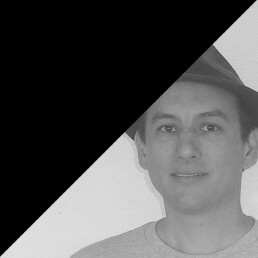 Adam Bray: The interviews were my favorite part of the book. If I could have gotten away with a whole book of just interviews, I’d gladly do it! It’s such a great opportunity to talk to people whose work and experiences I really admire. I interviewed David Collins and Sam Witwer for their stormtrooper voice work in recent movies, and Sam’s experience with The Force Unleashed video game. I also interviewed Dee Bradley Baker for his voice work as Captain Rex and the clones. 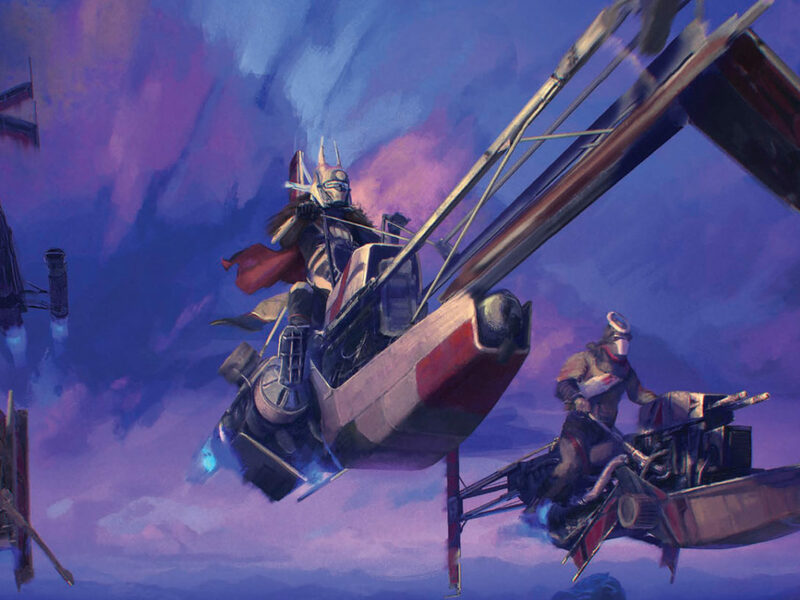 I spoke with artist Kilian Plunkett about the clone and stormtrooper designs for The Clone Wars and Star Wars Rebels, and artist Terryl Whitlatch about her work on the dewback scenes in the Star Wars: A New Hope Special Edition. 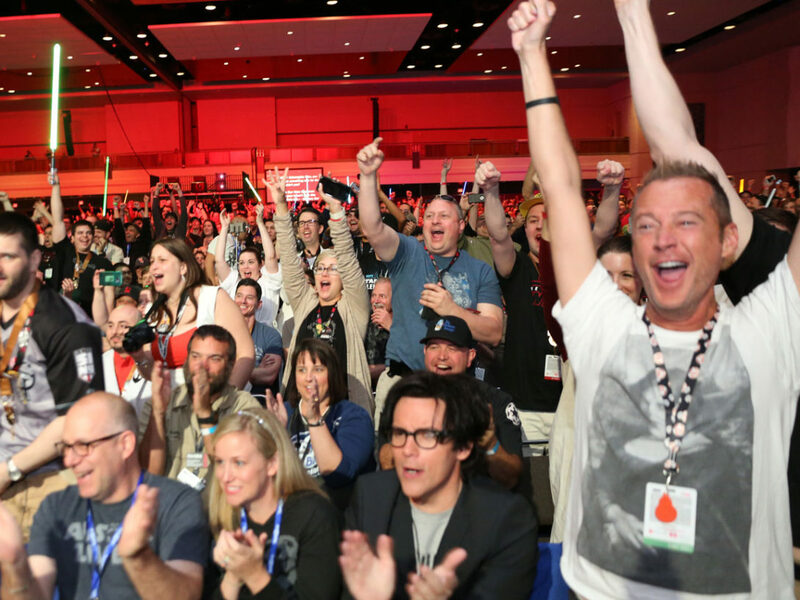 Albin Johnson shared his experience founding the 501st, while Legion member Clint Randall speaks about his experience getting advanced access to the First Order stormtrooper armor and attending The Force Awakens premiere as a member of the 501st. I talked to other folks to get their insight too, including Cole Horton, Chris Reiff, and Chris Trevas. 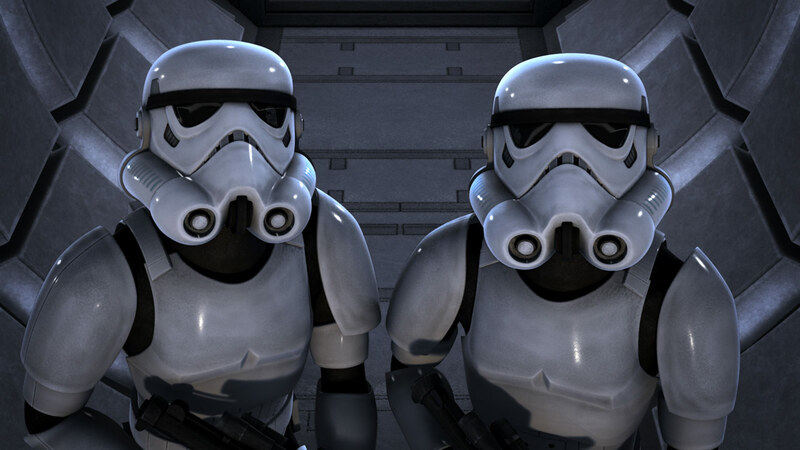 StarWars.com: Stormtroopers also delves into the role of stormtroopers in pop culture and in fandom, especially the history and work of the 501st Legion, and stormtrooper-themed artwork. What is it about these armored soldiers that resonates so well with so many fans? 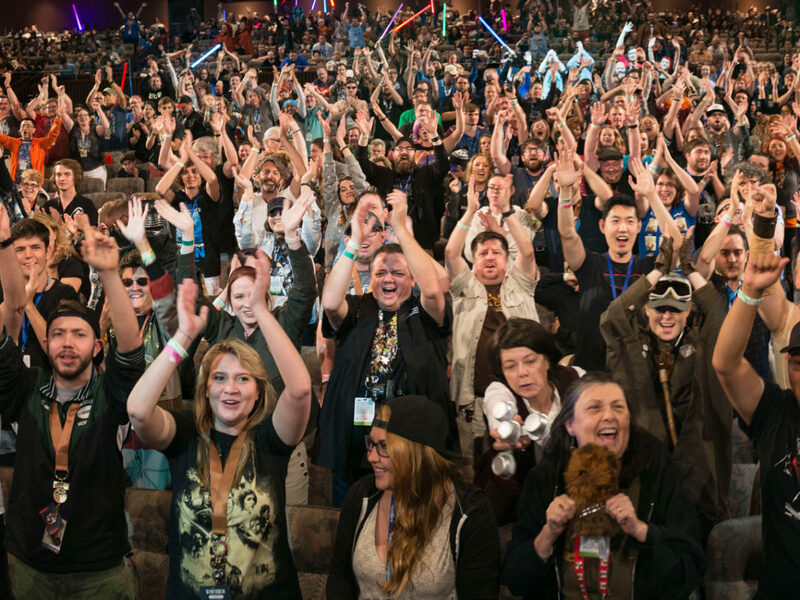 How does these expressions of fandom then build up the iconic nature of Star Wars and stormtroopers? Adam Bray: Stormtroopers are one of the most recognizable characters from the saga, next to Darth Vader, Yoda, and the droids. 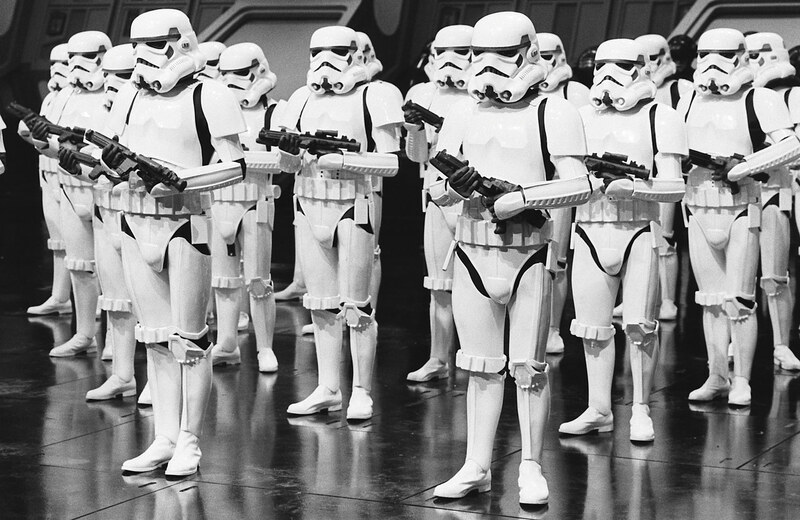 If you go anywhere in the world and show someone a stormtrooper, chances are they can tell you what films they are from. While the 501st started out as a fan homage to the movies, I detail in the book how the 501st came to directly contribute to the movies and animated series, and even appear in the new films as background extras. StarWars.com: The book also tracks the evolution of stormtroopers through their appearances in various media: animation, books, comics, video games, and theme-park attractions. 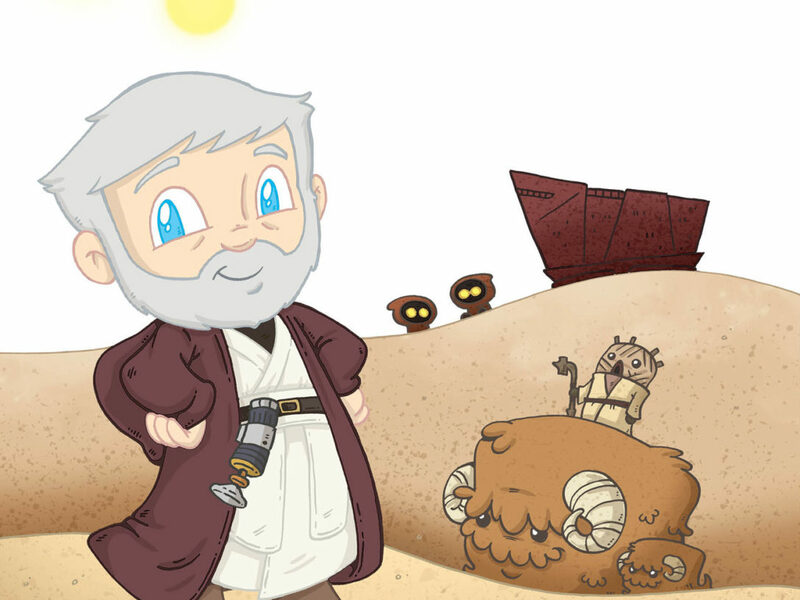 How has their role changed over the history of Star Wars storytelling? What are some of the highlights of looking at their appearances in these sources? 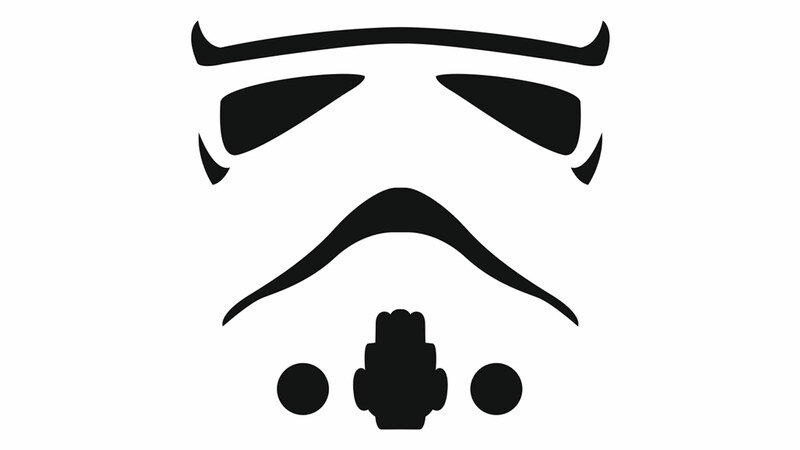 Adam Bray: Stormtroopers have been rebel target practice throughout much of these mediums. The Clone Wars humanized troopers for the first time. Video games have walked on either side of the line, using troopers as cannon fodder or offering some insight into clones and stormtroopers as playable characters. Battlefront II is the best example where we actually follow the story of Iden Versio. Ryder Windham: The most significant evolution of stormtroopers is how they went from being blaster-fodder bad guys in the movies to genuinely charitable heroes on Earth, and all the credit for that change goes to the 501st Legion, the international non-profit organization of stormtrooper costumers. Their good work is beyond impressive. StarWars.com: By documenting the total story of troopers as a story element in the saga, and as an icon of Star Wars in our world, you also are giving a history of Star Wars moviemaking, merchandising, and cultural impact, from the original trilogy through the prequels, TV series, and into the Disney era with the sequels and standalones. What in this overall history really stands out for you? What cool tidbits of information really amazed you? Adam Bray: I was surprised how much influence Hasbro has had on recent Star Wars animation, from initiating Tartakovsky’s Clone Wars series, to the classic Kenner action figures as inspiration for the character designs in Star Wars Rebels. I was also fascinated how George Lucas’ ideas about who stormtroopers were actually changed over time. It wasn’t until he began conceptualizing a Star Wars TV show that Lucas decided the stormtroopers would be normal humans rather than clones. George Lucas’ artistic choices about how to portray the militaries of the Republic and Empire were also fascinating. The diversity in personalities within the clone army versus the uniformity of troopers and officers within the Empire (despite no longer being clones) is quite a contrast. The Republic valued diversity, and so the clones were allowed freedom of personal expression. The Empire, on the other hand, was a repressive regime that demanded order through conformity, or sameness. Ryder Windham: To me, what’s most amazing is how I stopped thinking of stormtroopers as anonymous, interchangeable characters. Several years ago, after learning that the 501st New England Garrison had participated in a blood drive in my area, I began organizing blood drives for Star Wars fans. Then I co-founded the World Blood Drive, an annual international event to promote voluntary blood donations, and so far, 501st members in more than 25 countries have participated. So now I think of stormtroopers as friends, individuals with names and jobs and families and lives. The troopers who help with blood drives and visit children’s hospitals are beyond generous and talented. They’re fantastic people. StarWars.com: If you could be any trooper in Star Wars, who would you choose to be? Adam Bray: I definitely wouldn’t want to be a stormtrooper in real life. They are far too expendable! Of the original trilogy stormtroopers, I always like the biker scouts the best. Commander Bacara wears my favorite clone armor from the prequels. 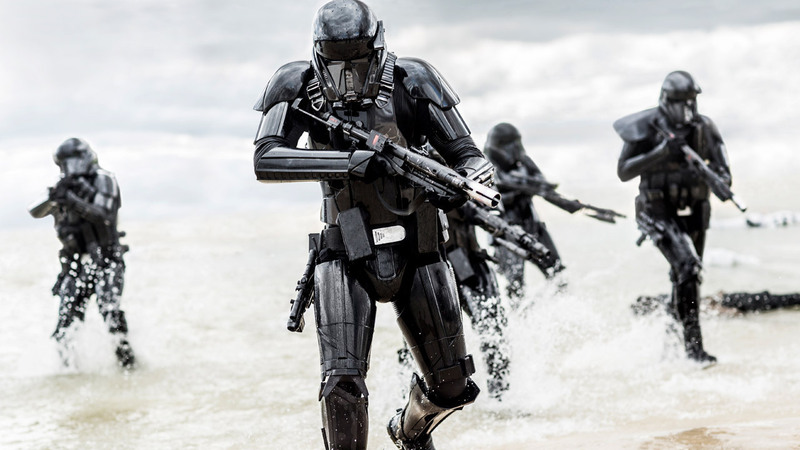 The Scarif and death troopers are my favorite soldiers from the recent movies. Ryder Windham: The one with the highest salary. 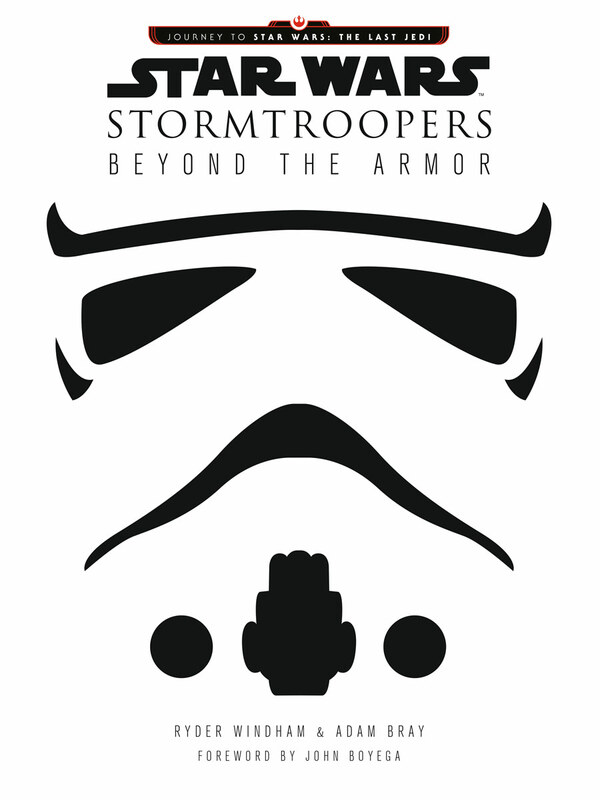 Stormtroopers: Beyond the Armor is available now.